Left hand breaker version shown. 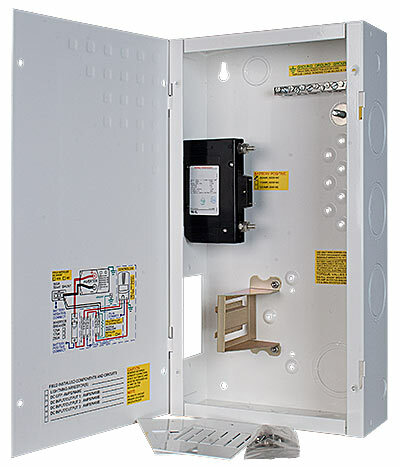 Description: White powder coated aluminum with 125A/125VDC breaker and 5 dinrail breaker slots or 3 panel mount breaker slots. Left hand.